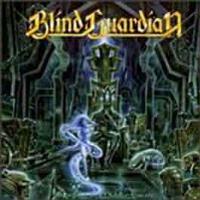 I've heard a lot about the German progressive power metal band Blind Guardian over the years but I've never actually laid ears on this semi-legendary group until now. Thanks go out to Century Media Records for finally making these guys and their records domestically available at prices you can actually afford. The tales I'd heard about Blind Guardian's extreme musical prowess were no exaggeration. This is on a very, very advanced level of development that owes as much to Wagner and Mozart as Iron Maiden and the like. Your head will swim trying to keep up with the wild time changes and sheer bombast these guys create. Most prominent are the immense harmony vocal passages that sound like choirs. I detect a strong Queen influence on Blind Guardian, not only in these operatic vocal passages but also in the unique "howling" guitar sound created by Andre Olbrich, which is very reminiscent of the work of Queen's Brian May. The band is firmly rooted in heavy metal, with resemblance to Iron Maiden and Helloween at their most epic, but there's also a lot of influence from classical European music as well. The record is very medieval sounding and is definitely what heavy metal would have sounded like in the Middle Ages. The lyrics are also on the majestic side. As you might gather from the title, J. R. R. Tolkien is an inspiration, particularly "The Silmarillion". Fantasy lyrics always rate high with me, but Blind Guardian comes dangerously close to pompous camp at times. They are great musicians and the material is often awe-inspiring but it can also be boring and overdone. By the time the CD was done, I was feeling pretty exhausted by it all. For lovers of truly bombastic and operatic power metal, Blind Guardian is your dream band, but all others should approach with care. 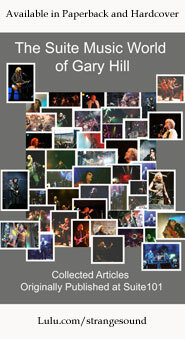 Blind Guardian is Hansi Kursch, Andre Olbrich, Marcus Siepen, Thomas Stauch, Oliver Holzwarth and Mathias Wiesner. 11 of this disc's 22 tracks are actually brief linking pieces featuring dialogue, sound effects and brief snippets of medieval music. I won't spend much time on these, but I will say that this opening intro piece sets the tone of the story beautifully, with realistic sounds of ancient battle and narration by two very dignified-sounding British actors. This is the first song proper and also the best. Not quite speed metal, this one is fast and aggressive. It introduces the powerful vocals of Hansi Kursch and features a trademark Blind Guardian chorus that sounds like old Queen or Styx at their hugest. The track includes incredible guitar work, too. This features one of the best vocal harmonies on a chorus that I've ever heard. It's hard to convey how powerful and melodic the chorus is. The rest of the track is mid-paced and average but that chorus boosts the track tremendously. This is a brief acoustic linking track. Another up-tempo and aggressive track, with a vaguely Middle Eastern feel, the time changes and guitar wizardry on this one are almost too much to comprehend. This cut is a brief spoken linking track. Beginning as a ballad and featuring a more restrained vocal performance, this did little for me. The chorus is again quite good, but the track lacks energy. "Mirror, Mirror" is one of the record's best. It is catchy and powerful, with yet another outstanding vocal hook. The track seems to sum up the Blind Guardian style best. This is another brief linking track. Well-played as usual, this displays a weakness of the band in that they don't know when to pull the plug. What would have been good at four and a half minutes becomes a bore at almost seven. This is more of a showcase for technical prowess than a song. "Battle of Sudden Flame" is another brief acoustic linking piece. Very, very medieval sounding, this is an example of what sounds like an old European folk tune played with heavy metal instruments and including a modern chorus. This is a brief spoken linking piece. Again suffering from being too long, this track is redeemed by Kursch's outstanding vocals and a fantastic chorus second only to the one in "Nightfall". A very somber piano ballad, this one is likely to put the metal fan to sleep, but it certainly conveys sorrowful emotions well. This is a brief spoken linking piece, almost like a eulogy. After the previous low-key tracks, this gets the blood pumping again with an aggressive speed metal cut that conjures up images of Helloween but which retains typical Blind Guardian melodies. "Out on the Water":is a brief sound effects linking piece. This is another short spoken linking piece. The last of the "proper" songs, this is the band at their most complex and overblown. Frankly, it was too much for me. It's overdone and fails the test of being a coherent song. Technical guitar geeks will drool over Olbrich's amazing technique but that audience is small. If Blind Guardian can rein in some of this pomposity while retaining their trademark sound, they may rise to the level of an Iron Maiden. This is a spoken outro, featuring narration by one of those cultured-sounding actors employed throughout the record.